Cozy home nobody has ever died in, perfect for first time home owners on a budget. 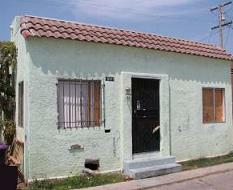 Located in neighborhood with lots of potential, sprinting distance to police station, staggering distance to hospital. Seller acknowledges no flooring in bathroom, some holes in walls.